This article was originally published on February 2, 2015 to mark the 10th anniversary of the album. It was updated on March 19, 2018 to fit with the announcement of special live shows where Bloc Party will perform ‘Silent Alarm’ in full length. A nervous flickering. Tension fills the air. The string of an electric guitar gets touched, followed by a gentle hi-hat tornado that soon evolves into a furious storm of fast-paced drums. ‘It’s so cold in this house’ screams a voice, both desperate and resolute, ‘Open mouth swallowing us.’ The four and a half minutes following the opening are a tremendous call to arms and also a call for help in terms of the song’s protagonist and his fears of a declining relationship. The song is called Like Eating Glass, the record Silent Alarm and the band Bloc Party. That album was released today, ten years ago. Plenty of things have been written and said about those glory indie music days in the mid 00s’. Those who experienced it remember the excitement of a new generation, re-discovering the music of the past and bringing it back to the limelight. Franz Ferdinand sang about a fire that was out of control – and its flame burned quite bright and hot in the years between 2004 and 2006. Arctic Monkeys, Maximo Park… hell, yes, even the good damn Kaiser Chiefs. Britain’s guitar music saw a revival that really felt like a fresh breeze, at least for a while. The songs were anthems, the bands became idols and at least for a while you felt like you belong to an exclusive insiders club if you were aware of the existence of these bands. Of course, every hype is followed by its decline and the commercialization and evolution of the ‘indie’ music scene happened as quickly as it originally unfolded itself. Suddenly Kaiser Chief’s Ruby was sung on the Oktoberfest and The Killers‘ Mr. Brightside was all over your face. You need to understand this context to understand the impact of this brief moment in music history. Bloc Party were part of it all while still remaining outsiders. Their attitude, their lyrical content and even their sound was special, especially for such a small field like the 2004 indie rock scene. Silent Alarm was a blend of various influences. The rough post-punk spirit of bands like Gang Of Four or the early The Cure might have been the biggest one. But the band, especially frontman Kele Okereke, shared a special love for synthetic dance music as well. The idea of mixing electronic music with traditional rock sounds wasn’t really new at this point but Bloc Party gave it an interesting twist and put various ideas into a coherent context. 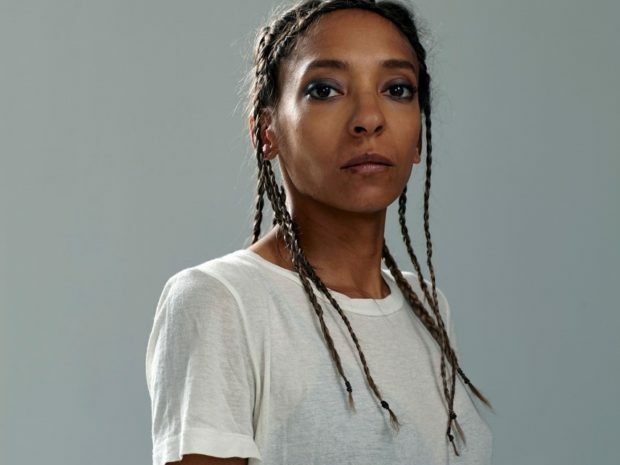 Tracks like She’s Hearing Voices and the infamous Banquet created the hypnotic vibe of a dance track with the help of rock music elements while songs like Helicopter and Luno were classic garage rock anthems. Still, Silent Alarm was closer to the disco vibe of DFA Records and bands like The Rapture and LCD Soundsystem (whose debut LP recently also celebrated its 10th anniversary) than to, let’s say, the Franz Ferdinand debut. You have to give producer Paul Epworth (who’s now a Grammy-earning super producer for artists like Adele) a big credit for that special sound as well. The album was driven by an energetic urgency to be heard and Bloc Party had the talent to combine good pop melodies with a certain punk spirit and an intelligent undertone. The lyrics of Silent Alarm weren’t just ordinary ‘boy-meets-girl’-stories or ‘fight the system’-paroles. 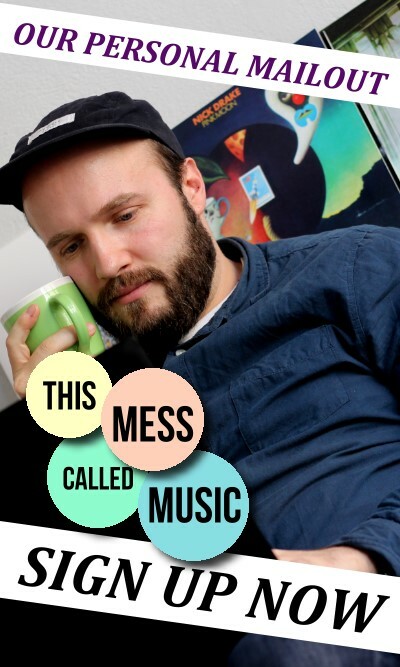 Songs like The Pioneers and Plans dealt with fading ideals and a certain helplessness regarding the ever-changing world. ‘We promised the world, we’d tame it, what were we hoping for?’ sings Okereke as he tries to find the right words to describe whatever is happening out there. The substantial and cryptic lyrics were a big plus for Silent Alarm as they basically helped to understand that this band was more than just another ordinary garage rock band. Ahead of his promotion tour for his second solo LP Trick, NOTHING BUT HOPE AND PASSION got the chance to ask Mr. Okereke a few questions on these days, one decade ago. How do you personally remember the atmosphere in London back then in 2004/2005. Kele: It’s kind of hard to describe it, really. I mean, it was our first record, so we didn’t really know what to expect after its release. We realized afterwards that we were in a very fortunate position, to be at the right place, at the right time. I find it extremely difficult to compare that period of time because we didn’t really know any different. Did you already feel that this album could be special while you were recording it? Kele: Not really. I mean, obviously, we were proud of the record in the way we were proud of every record we’ve ever released. We had no idea that it would resonate with the people in the way it did. Kele: To be honest, we always kept ourselves apart from the scene. I know they tried to create this whole post-punk/revival scene back then but we never really felt that close to any of these bands we were supposed to be close to. It’s not like we were all hanging out with each other in East London at the time. We were a bit cynical about the whole thing, to tell the truth. What’s the key track on ‘Silent Alarm’ in your eyes? Kele: For me it’s probably This Modern Love. It was never a single and people only know it if they know the record. But still it remains one of the songs that people respond the most when we’re playing live. And that’s always a good sign for the record if people show love for tracks that aren’t big singles. That’s when you know that it really touches people. Looking back on ‘Silent Alarm’ ten years later… what feelings do you have? Kele: I haven’t listen to the record in a long time. One day I will listen to it and then I might be able to answer your question a bit better. (laughs) I remember aspects of making that record. It was a very cold and long month in Copenhagen. It was the first time we’ve been away from home for such a long time. It was kind of a stressful period and an intense time. These are the tings I remember the most when I look back. So, you are proud of it in the end, right? Over the years the memory of such a record can get blurry, you can’t deny that. You have to set it in perspective to fully understand Silent Alarm and the importance of the band, at least for a small amount of time. 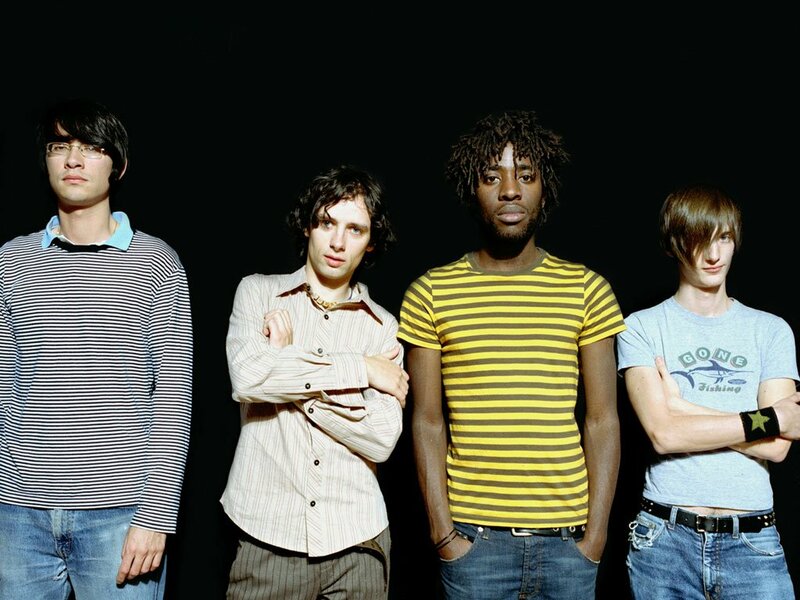 Bloc Party sounded different because they weren’t interested in keeping a status quo alive. The follow-up, A Weekend In The City, was an even more complex concept record with a more polished sound while 2008’s Intimacy saw the band heavily flirting with electronic experiments before going into an overdue hiatus. 2012’s comeback record Four saw them returning to a more conventional but heavier rock sound while the whole world around them dedicated itself around a synthpop sound. And if these guys will ever make a return you can be sure that it won’t be a predictable one. Silent Alarm, ironically, wasn’t that silent. It was a first loud exclamation mark of one of the most interesting bands of the past decade. Intelligent, inspiring and deeply touching lyrics about society, intimacy, politics and frustration teamed up with a constantly progressing sound that wasn’t afraid of taking risks. 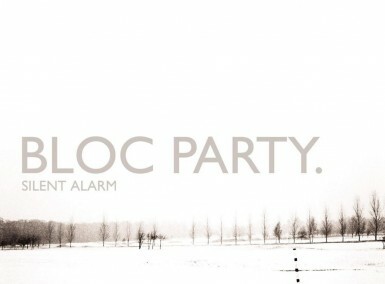 Bloc Party‘s debut is a modern classic of British guitar music. The current state of the band is quite vague as it looks like charismatic drummer Matthew Tong left the band in the final stages of their last tour although nothing has been officially confirmed so far. But during our chat, Okereke once again pointed out that the band might never be done and that the special chemistry between them would always exist. Well, let’s just say they are surely missed. And maybe that’s the slightly rebellious legacy of this record that remains, even ten years later. Be different, be intelligent and don’t be afraid to speak your mind. Additional paragraph for 2018 update: Now, three years later the band did indeed got two new members, released one very mellow album called Hymns in 2016 and is now heading heading for an actual Silent Alarm reunion tour, despite Kele ruling out that option a while back. In a more recent chat with NBHAP he said he wasn’t really sure whether his next project would actually be a Bloc Party thing as well as that he isn’t interested in angry old-fashioned rock music anymore, so the next move for the indie rock band is as uncertain and unpredictable as it has always been from time to time. So, one thing remains for sure – you can’t be sure about anything, right?